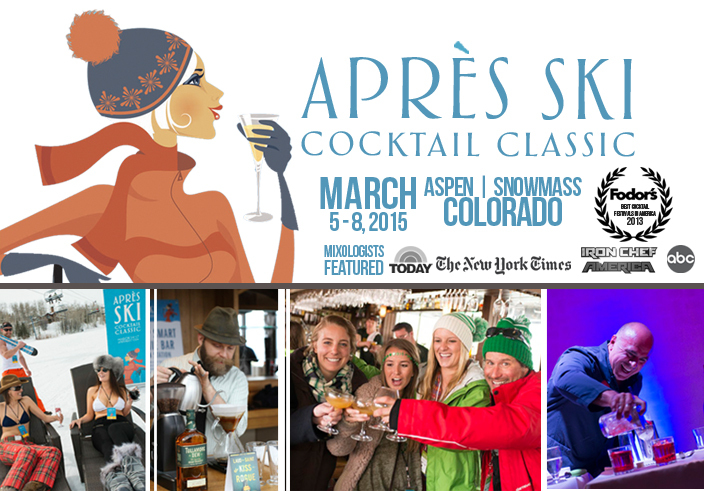 ASPEN/SNOWMASS, CO – The 3rd annual Après Ski Cocktail Classic returns in 2015 with new dates and a new home base. 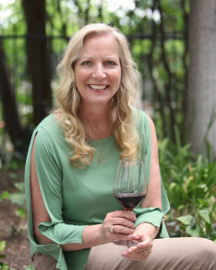 It was recently announced that the four-day event will take place March 5 through 8, 2015 and move headquarters to The Little Nell in downtown Aspen, Colorado. “We are thrilled to be partnering with the Little Nell whose name and reputation is synonymous with superior service and experiences,” states co-founder Joseph Lang, “plus the location is not too shabby either. This event not only brings renowned talent to town, it looks to showcase the unbelievable talent we have here year-round.” Celebrating the union between après-ski and craft cocktails, this winter-schuss extravaganza will feature the best of the best in après-ski culture with everything from seminars and fireside chats to the rejuvenation station at the Grand Tasting Village and unique pop-up experiences throughout Aspen Snowmass. An ensemble of the nation’s top brand ambassadors and spirit aficionados will be on hand, pouring uncommon spirits, champagnes and cocktails to elevate the après-ski experience. Venues will include outlets at the Little Nell including Element 47 & Poolside Terrace, Chair Nine, and the Upper Gondola Plaza, along with Justice Snow’s, Jimmy’s, Bodega and more to be announced. 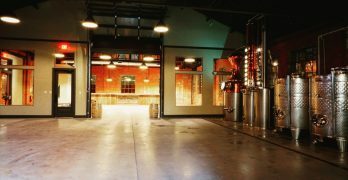 “William Grant & Sons has had a long history here in Aspen and we’ve been involved with the Aprés Ski Cocktail Classic from year one. 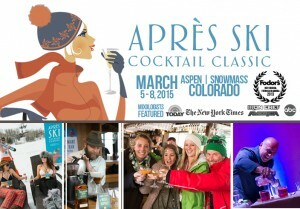 “Both consumers and spirit professionals in Aspen are at the pinnacle of the tastemaker market we want to be in front of and the Aprés Ski Cocktail Classic is a perfect fit to reach this audience,” says Portfolio Ambassador Charlotte Voisey. 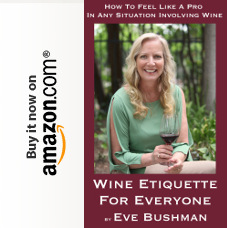 Events include opening Après celebrations, the Grand Tasting Village, Private Reserve Room, seminars, demonstrations, fireside chats, cocktail-paired dinners & brunches, Après parties, and the Great Après Ski Pub Crawl in eight locations.